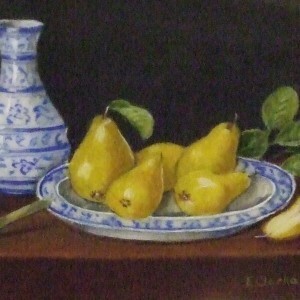 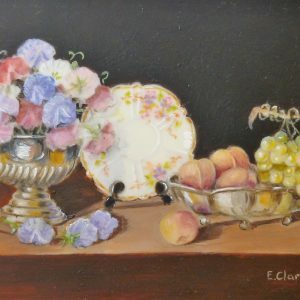 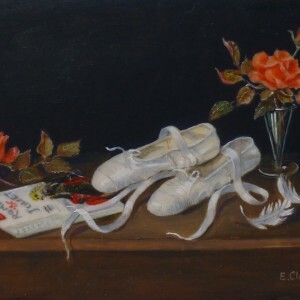 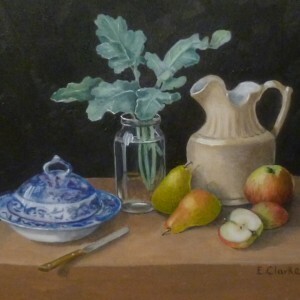 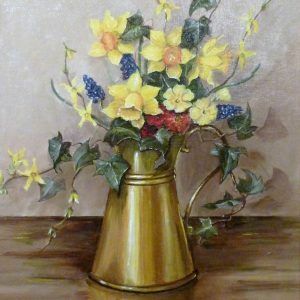 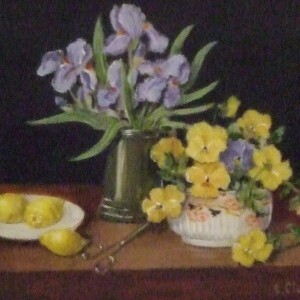 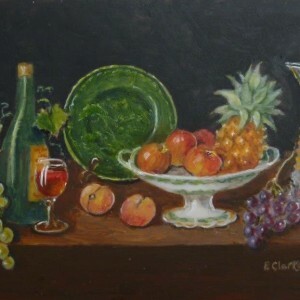 Enid Clarke is a Norfolk born artist who, after exhibiting widely throughout East Anglia with her flower paintings, began to develop a fascination for still life miniatures. 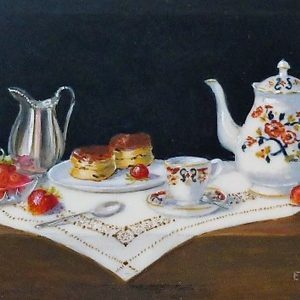 In 1983, she was fortunate in meeting a nationally known miniaturist from whom she received tuition in the specialised art of miniature painting. 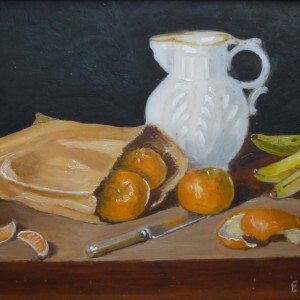 As well as exhibiting in the major London galleries, Enid has sold to many well-known members of the public and her work is in private collections in the UK, USA, Canada, Spain and France. 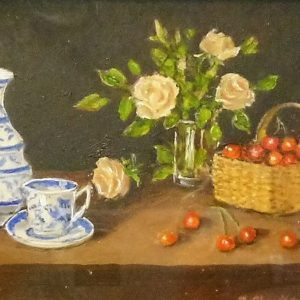 1989: The Rose Bowl Award for Best Miniature from the Society of Miniaturists in Yorkshire. 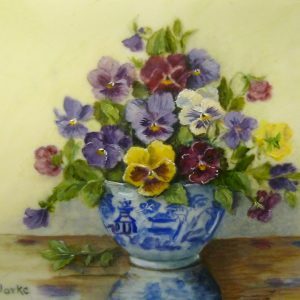 1990: Gold Bowl Honourable Mention from the Royal Miniature Society. 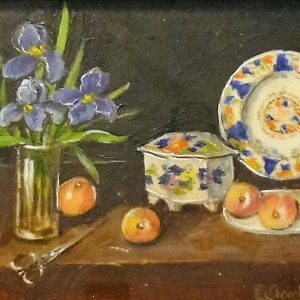 1997: Certificate of Excellence for an “Outstanding Set of Miniatures” from the Llewellyn Alexander’s Exhibition of over 800 miniatures. 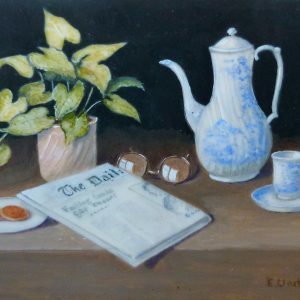 1999: Runner-up for “Best Set of Six Miniatures” in the Royal Miniature Society Annual Exhibition. 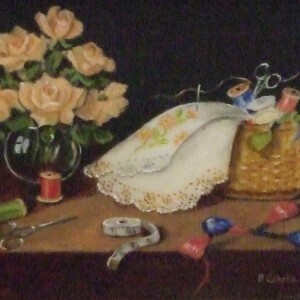 2000: Invited Exhibitor at World Exhibition of Miniatures, Tasmania, Australia. 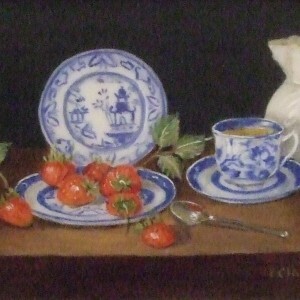 2004	World Exhibition of Miniatures held in the Smithsonian Complex, Washington DC, USA.